Are you or were you a member of the military? Do you have a family member or friend who is or was? If so, we want to honor them and their service in our Military. To proudly honor our Downriver members of the Military, we have assembled a roster that is a permanent part of the website, and you can view our heroes HERE. 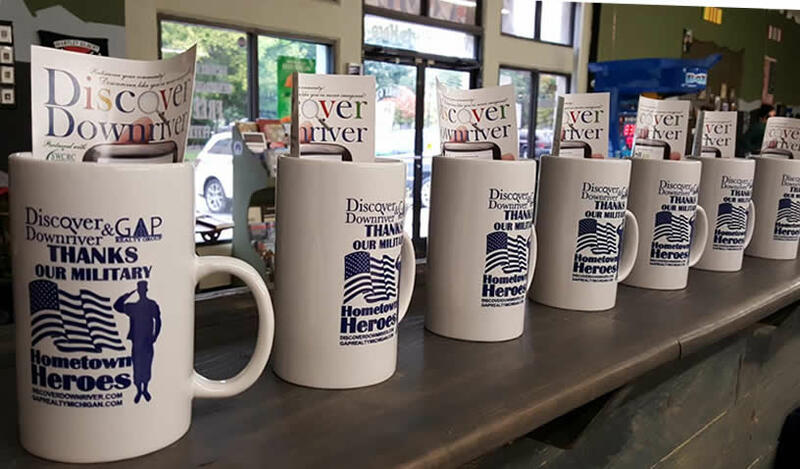 Also, while supplies last, as a THANK YOU to our amazing Veterans, we are giving each hero on our website a Thank You coffee mug, which can be picked up at the Discover Downriver offices or Gap Realty Group offices. To see an example, click HERE for our featured Military Hero.